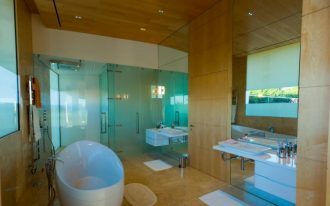 If I may say that I love tiles a bit different rather than the average people. 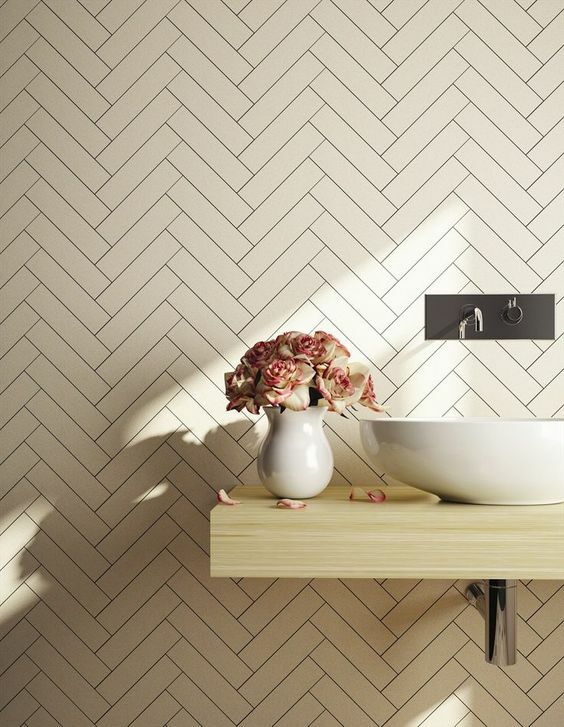 I also really adore this tile trend: herringbone-patterned tile. Actually, the tiles with herringbone pattern can be applied for any settings, but I personally love installing it to bathroom as it will give special texture and pattern. 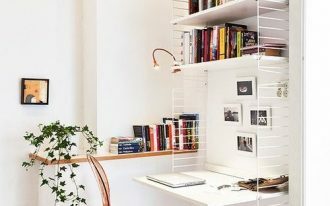 Like in the following ideas; there are ten inspiring herringbone-patterned tiles for bathroom taken from some popular home designers’ sites. 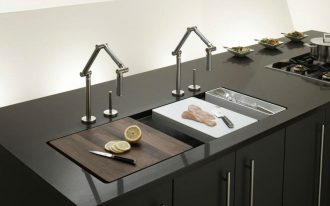 Wish that these will give much inspiration about the herringbone tiling trend. 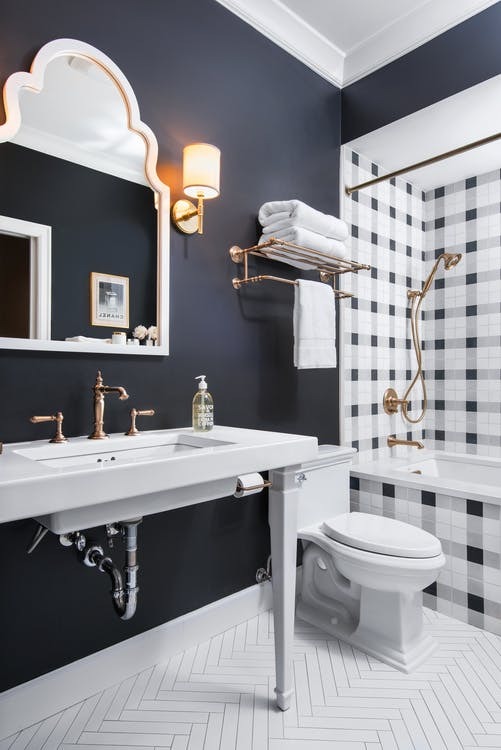 Here, brightly white herringbone tile floors blend well with the existing monochromatic ‘plaid’ tiles around the tub, acting like a perfect complement that visually adds a classic look. 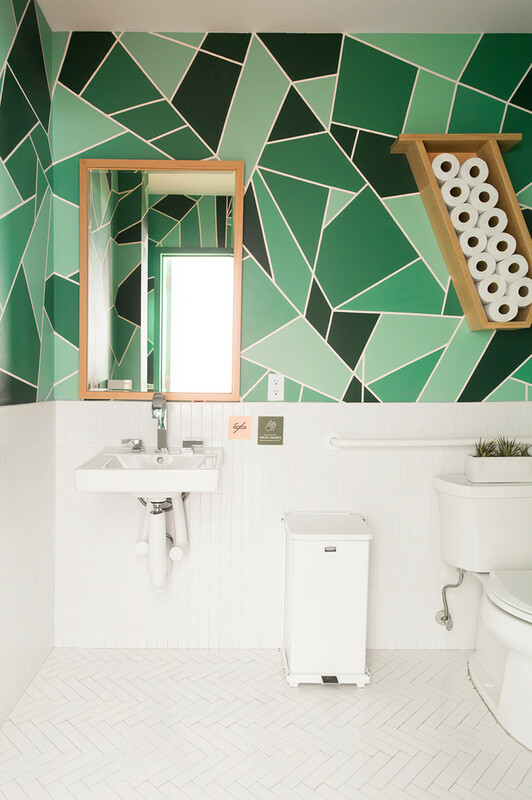 This bathroom’s clearly full of too-bold & obvious pattern, especially on top, but the herringbone tile floors softly balance it. 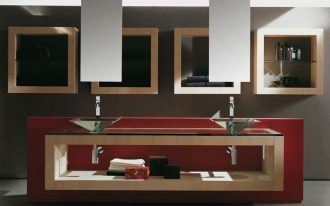 White color gives clean and minimalist look to this bathroom. 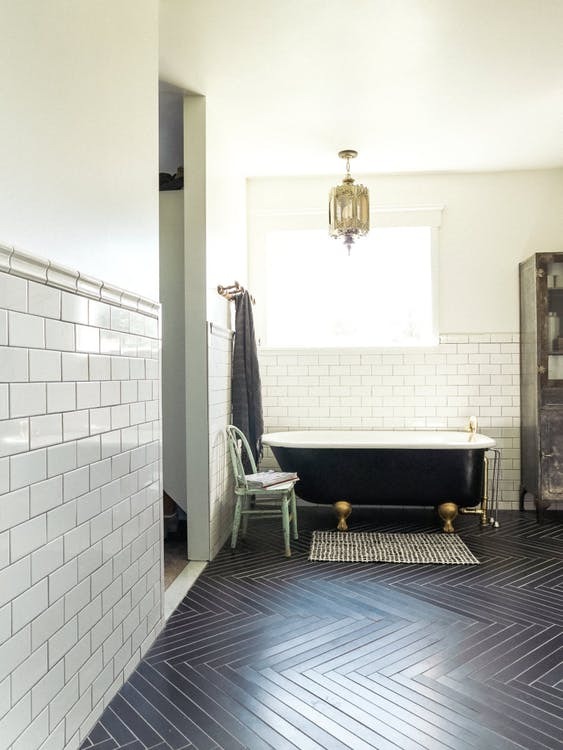 Design Out has selected black herringbone tiles for this bathroom, and the result is so marvelous; a contrast color has been created, and of course the floors add style to this space. 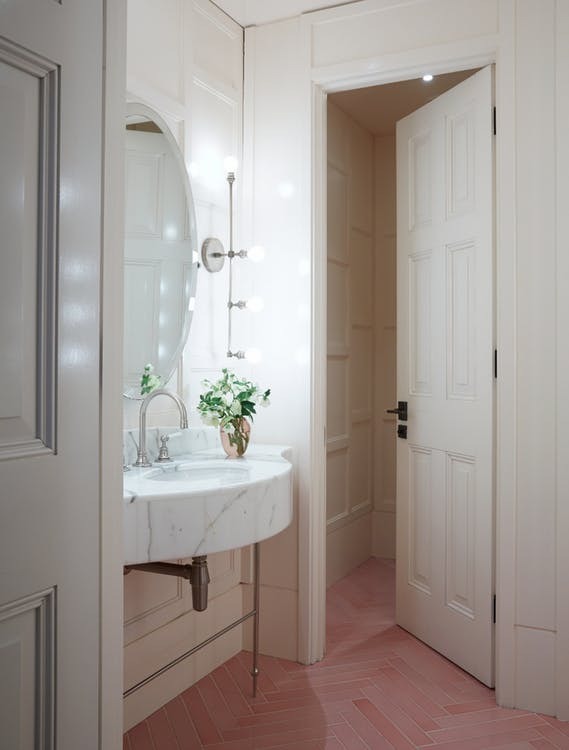 Pink herringbone tiles bring unexpected look – absolutely making a statement of room, especially after featuring white and marble. 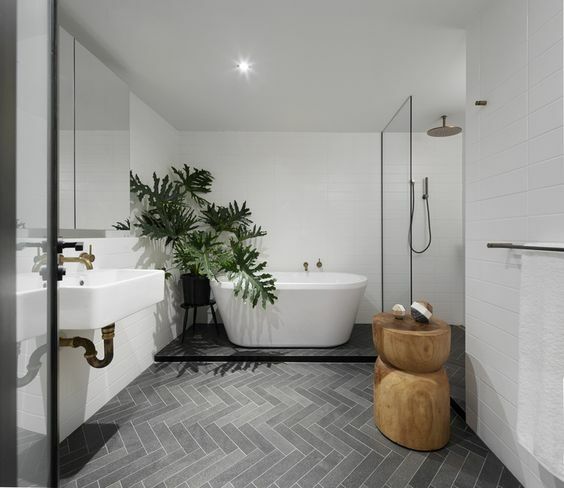 Still inspired by Made a Mano, this bathroom is really stunning and one thing that makes it so overlooked is the color highlights on herringbone tiles. 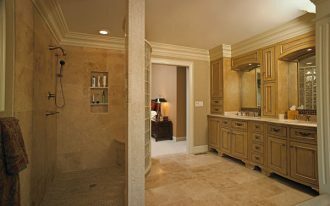 Yellow and pink are selected to create a beautiful contrast that exactly gives the color accent to the bathroom. 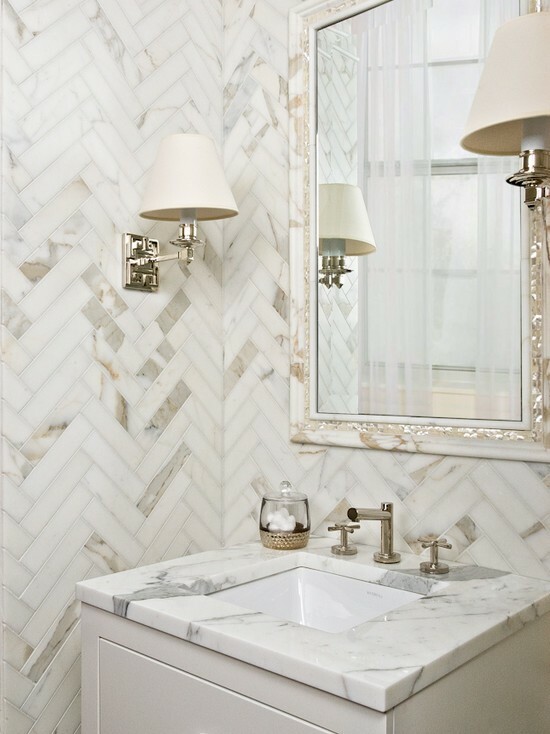 A pretty classic look is created just by combining herringbone tile floors and subway tile walls. About the color, black and white sound the best ones to meet that style. What a complete setting! 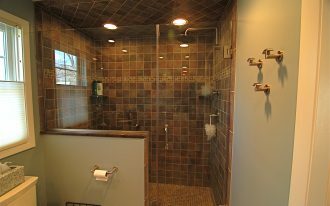 The bathroom is filled with earthy & neutral color schemes, including the gray herringbone tiles that exactly become the perfect base for overall bathroom fixtures. Wood element and houseplant here, of course, bring the actual refreshment to this bathroom. 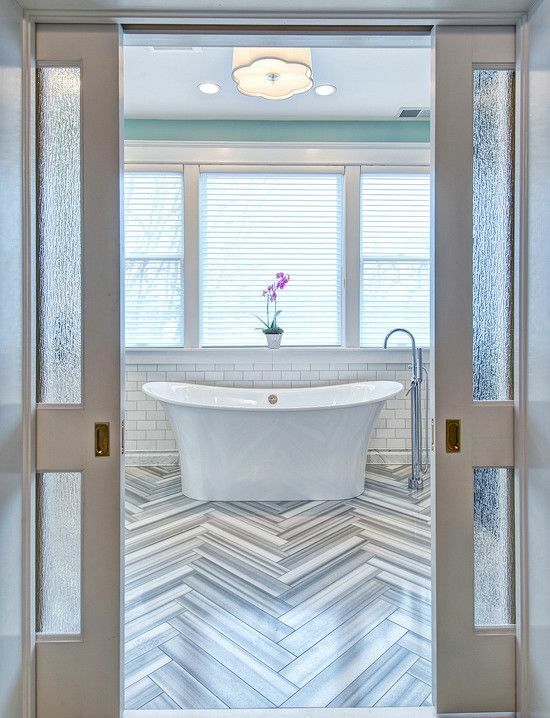 This herringbone tile application shows that the simple pattern actually works well with all colors and materials well represented on one of this bathroom’s corners. Also, I really love the broken white color on tiles; it’s a perfect color background, especially for this lovely flower. 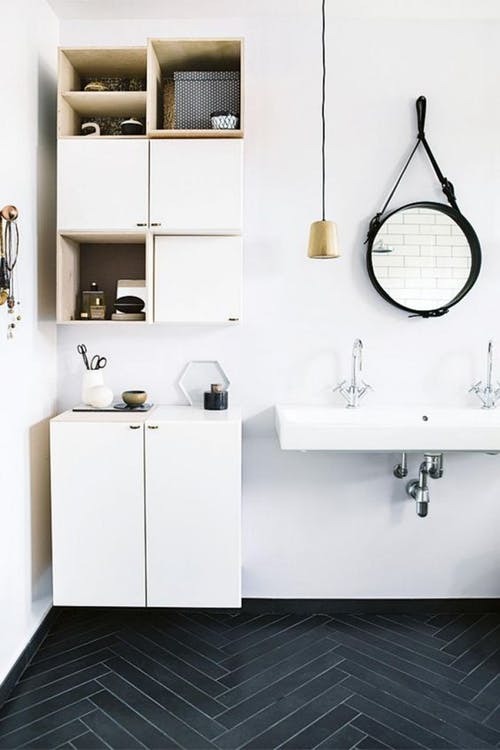 Wooden and herringbone pattern are exactly matched and they can also be manifested for such vintage-style bathroom design. 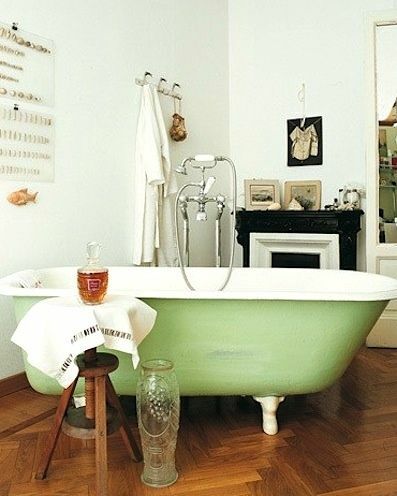 Just add an antique bathtub for more old-school touch, and complements it with a small wood stool for your delicious wine. Overlooked herringbone-patterned wood flooring featuring simple subway tiles – both mosaic tile options offer an obvious visual contrast but keep stunning with a center classic bathtub statement. 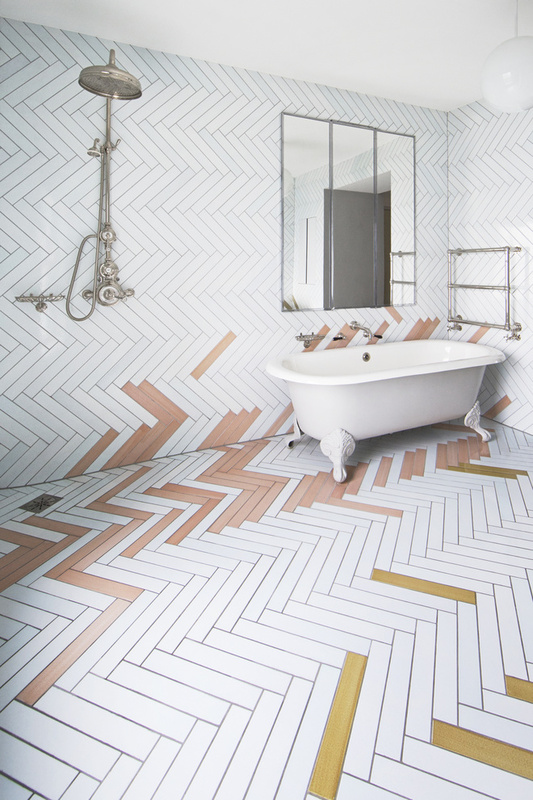 I personally love these herringbone tiles. 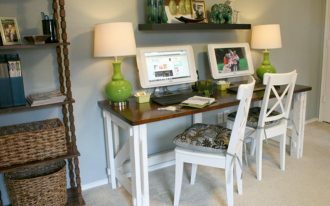 They look more spectacular when featuring soft & whitewashed furnishings.